SEOUL – South Korea is extending tax breaks to innovative startups doing research and development. On July 18th the government of South Korea indicated that it will soon enact new tax breaks for businesses which make investments into research and development of new technologies. So far 157 specific technologies across 11 operational areas have been defined as “new-growth technology” which will fall under the scope of the tax break. Under current rules for tax breaks for R&D, companies are eligible for tax reductions if they allocate at an amount which is equivalent to 5 percent of the previous year’s sales to research and development, with at least 10 percent of the amount dedicated to new growth technology. SEOUL – South Korea is aiming to enstate some control and taxation over the cryptocurrency market by mid-2018. Over the weekend the government of South Korea announced that it will soon enact new rules regarding the taxation of virtual currencies. Virtual currencies such as Bitcoin have enjoyed immense popularity in South Korea in 2018 and 2017, with astronomical demand and surge pricing for purchases in the country. The government has tried to reign in the popularity and uncontrolled growth for the cryptocurrencies over the last 12 months. By the end of June 2018, the government hopes to issue a guideline on the taxation of profits made from cryptocurrencies, whether it be from issuance, mining, capital gains, or from transactions. SEOUL – Cryptocurrency exchanges in South Korea are about to feel a tax sting, as the government steps up to control the country’s rampant coin market. Earlier this week the government of South Korea announced that cryptocurrency exchanges in the country will have to pay income taxes, and, also, that the income taxes will apply retroactively to previous profits. 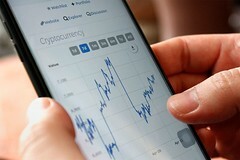 Cryptocurrency exchanges will face a 22 percent tax on corporate profits and an additional 2.2 percent local income tax. However, the tax will only apply if the exchange saw an annual income exceeding KRW 20 billion. The taxes will not only apply to future profits but also to those profits garnered over the last year. SEOUL – Korea’s booming cryptocurrency market may come to a halt due to the government’s planned restrictions. The government of South Korea has announced that it will take active measure to help quell dangerous speculation and abuse of cryptocurrencies. Over the last week the international prices for cryptocurrencies have seen wild swings, which have been magnified in South Korea due to the popularity of such technology in the country. During the course of a few weeks, the price of Bitcoin, the most popular coin in South Korea, has swung from KRW 14 million to KRW 25 million per coin.